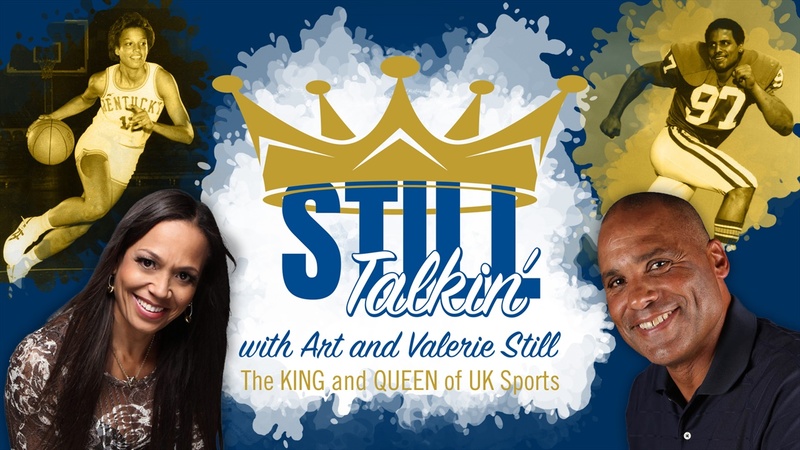 "King Arthur and his little sis Valerie roll out the red carpet with an in-depth conversation with football royalty, NFL Hall of Fame Class of 2012 member, Dermontti Dawson!! Dermontti, true Blue royalty as well, born and raised in Lexington, Kentucky shares his childhood memories and how a Bryan Station high school track and field star lands a football scholarship to play on the gridiron at Commonwealth Stadium before becoming a Pittsburgh Steeler icon. In order to hang with these two UK football greats, Valerie has to resort to her childhood football playing experiences with her 5 older brothers; seems like she may have earned some respect from Dermontti as she dethrones and schools big brother Art as to why the offensive linemen are the most important on the gridiron. Just like those childhood days, King Art has to put up with his annoying little sis tagging along bugging to play with the big boys!"